After a foggy day on Wednesday, today the skies were completely cleared. When I saw the weather outside, I couldn’t wait to walk along the Arno today at noon to go to an appointment in via dei Serragli. The Arno these days is a cool green. It’s so hypnotic that I enjoy staring into it when I can because it brings me much serenity and joy. 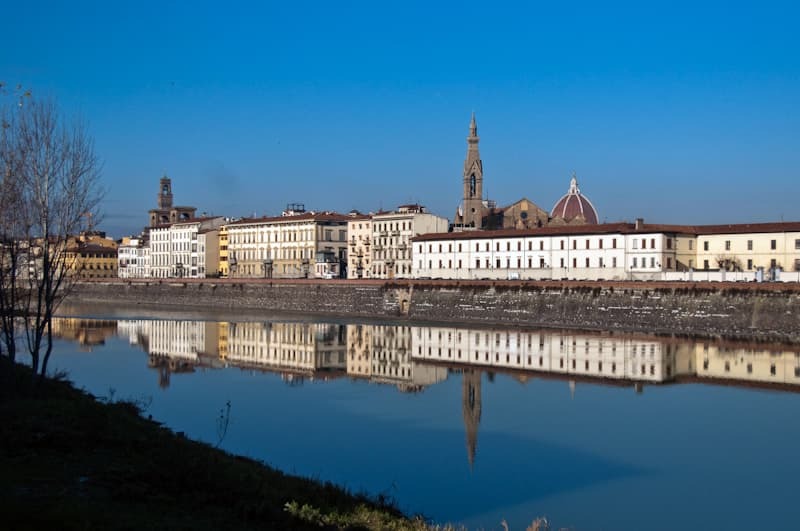 While I walked along the Arno, I kept glancing at it to see the light shimmering, the birds floating on its surface, and the muddled reflections. 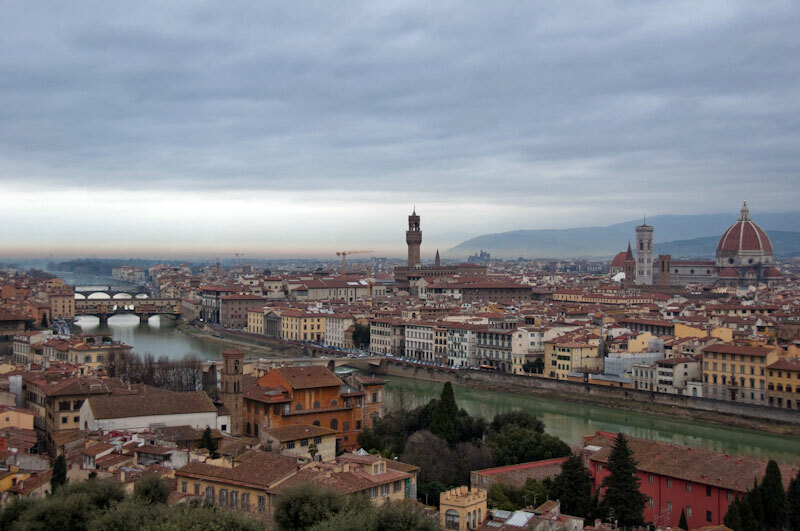 This morning when I looked out at the Arno, the sky was a blanket of light grey. I heard on the meteo (weather forecast) that it would rain in the early afternoon, so I decided to go for a short walk before it started. I love taking some time to just stroll the streets and look around without running any errands or having to be somewhere specific. The last few weeks have reminded me of how much Florence changes on a daily basis. It’s almost as if I can never settle into a routine because change is always just around the corner. Changes can be seen and felt every day: the weather, the air, the number of locals and tourists in the streets, shops opening and closing. I realized just the other day that no two days are ever alike. And if I try to force them to be, no good comes of it. I have learned that the more I go with the flow, the easier things are for me here. Accepting change is crucial to living serenely in this bustling city, but the real challenge is embracing them. On a whim, I brought along my camera on my walk up to the Piazzale Michelangiolo this morning. The skies were grey and the possibility for rain was high, but I still wanted to take my camera with me. It’s not something I do often, but once in a while I feel the desire to take some pictures along my walk. Today when I made it to Piazzale Michelangiolo, I was rewarded by one of the most colorful and stunning views I’ve seen in a long time. 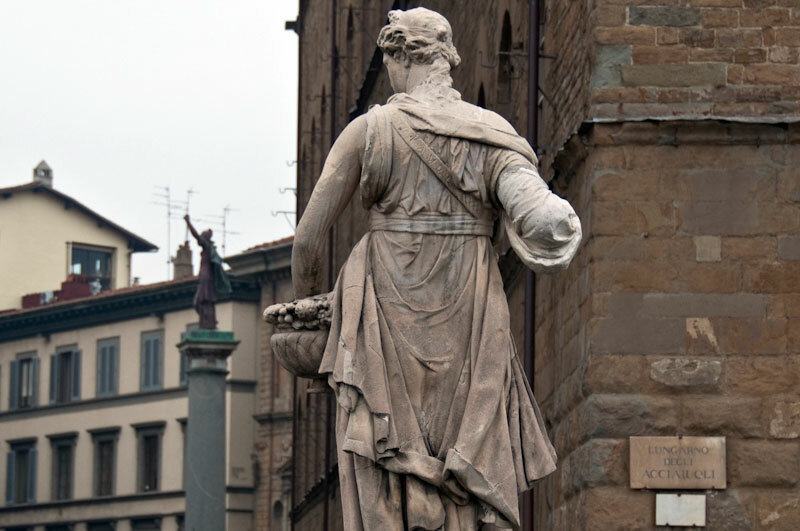 Each time I go for a walk up to Piazzale Michelangiolo, I feel energized. Not just because it feels good to my body, but also because it feels good to my heart and soul. I have found it to be the best way for me to start my day. I not only get to experience another facet of the city, but also in different ways. I hear different sounds, like birds chirping, smell different scents, like the trees and grass, and see different views of the city. Today I was excited to go for a walk up to Piazzale Michelangiolo. The sun was out and the skies were clear. The minute I walked out of our apartment, I was surrounded by people. 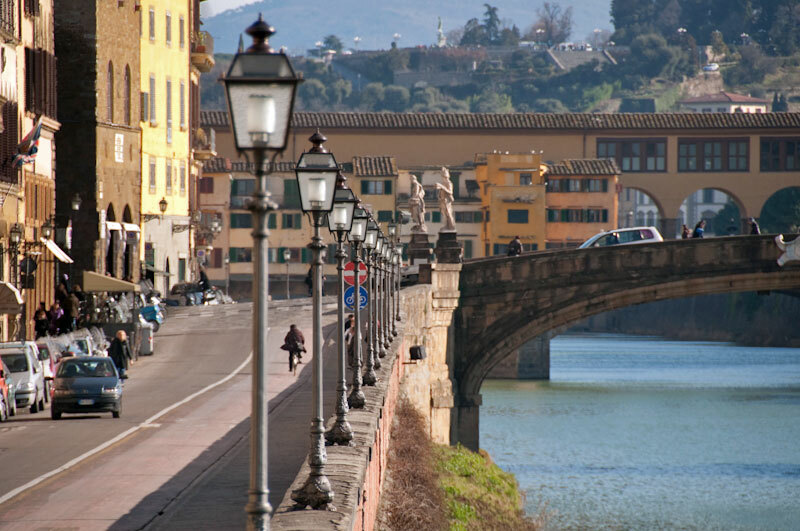 The lungarno was filled with people strolling toward the centro (downtown center area): Ponte Vecchio and the Duomo. I walked in the opposite direction toward Ponte San Niccolò to head up the viale (large avenue).